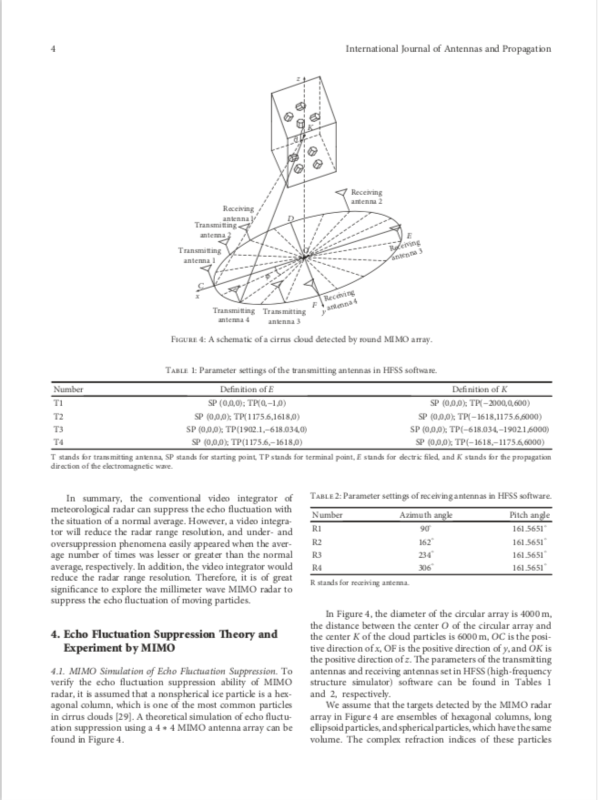 To study macro- and microphysical properties such as cloud height, cloud thickness, and ice water content (IWC), active and passive remote sensing instruments that cover visible, infrared, and millimeter and submillimeter wavelengths have been adopted. These instruments include satellite instruments, such as TRMM (tropical rainfall measuring mission)  and CloudSat ; airborne-based instruments, such as WCR (U. of Wyoming)  and ACR (UMass and NASA) ; and ground-based instruments, such as MMCR (ARM millimeter wave cloud radar)  and CPRS (cloud profiling radar system) . 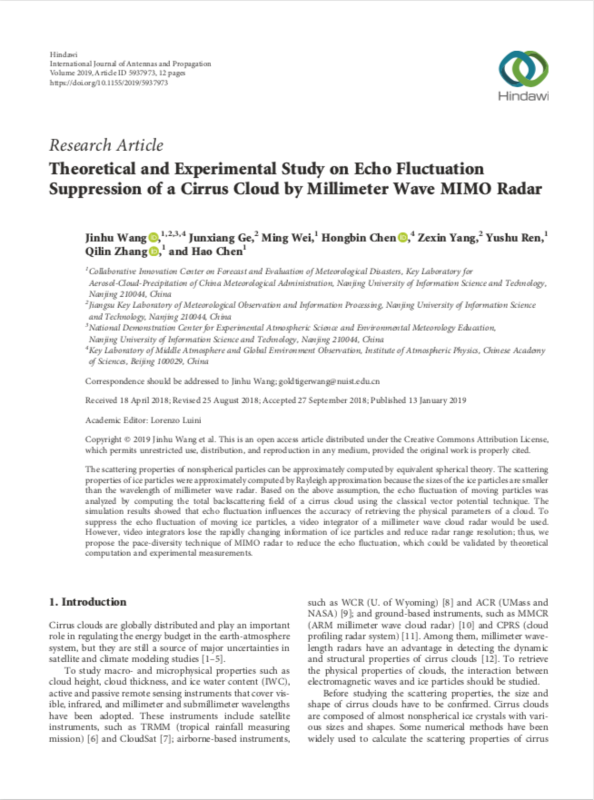 Among them, millimeter wavelength radars have an advantage in detecting the dynamic and structural properties of cirrus clouds . To retrieve the physical properties of clouds, the interaction between electromagnetic waves and ice particles should be studied.